Paging remains popular, especially in Germany, a country that is no slouch when it comes to adopting the latest techniques. One of the latest technologies is active paging which transforms paging into two way communication. 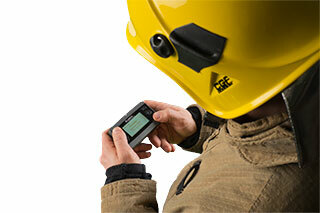 An active pager allows the alerted people to let the control centre know if they are available. Handpicked related content: "New ideas for paging". Paging today can be so much more than people on call carrying a simple beeper. 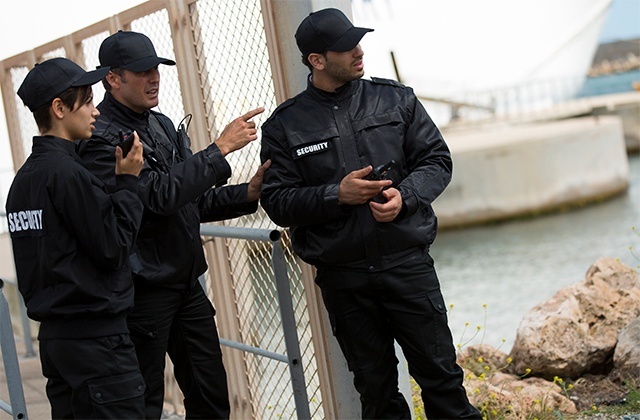 TETRA paging can be active and two-way, and give benefits for dispatchers. The concept has come to fruition in the form of the P8GR pager from Airbus. 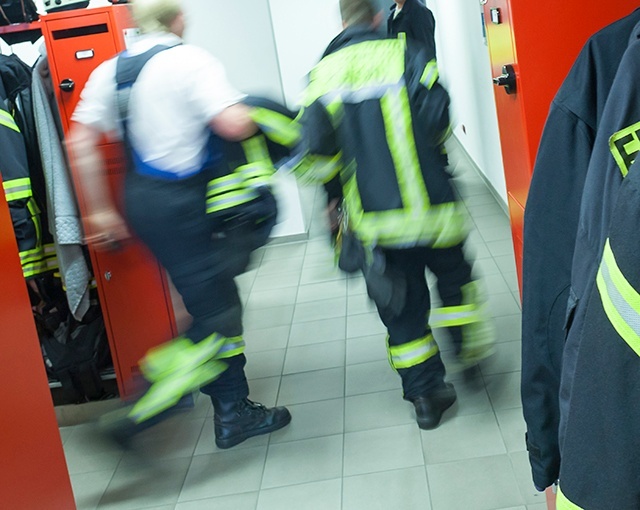 As a result of co-operation between the company and the German state of Hesse, the product is set to transform the way firefighters and other emergency staff work. Some 50,000 P8GRs are due to be rolled out in the region over the next few years following intensive testing of 1,000 devices and accessories in real-life situations. December 2016 saw the first chance for users to get their hands on the P8GR. 33 firefighters and rescue service staff were presented with the Airbus devices at a meeting in Sachsenhausen in the Waldeck district. With this number of P8GRs we were not sure how long we would need to configure them for our operational force. Fortunately, the Taqto device management software allowed easy configuration. It took about an hour from the download to the first configured P8GR, with further configurations much easier from then on. I am glad that we can now use the technology. As an operational leader, planning of my forces is very important and I am convinced that this technology, with its active feedback and availability status, can bring much value to future operations. The next stage involves operating the new devices in parallel with the old to report any problems, with a view to shutting down the analogue networks in mid-2017. The rollout in Hesse has just started, so the customer isn’t yet aware of all the advantages. Operational use with the control centre will demonstrate the many benefits and opportunities of active paging. 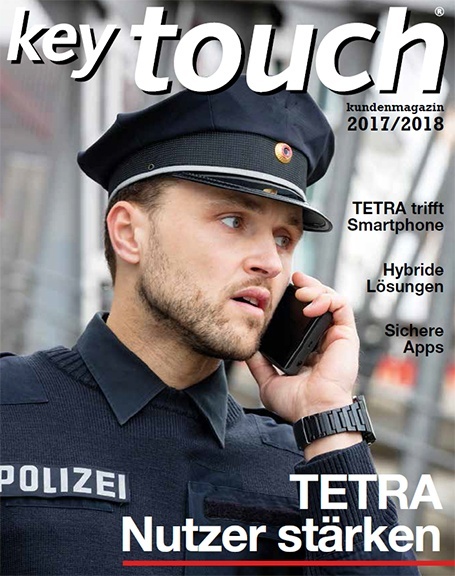 “Now four years have passed since we started the project, it is encouraging to see that the TETRA community is developing new applications and devices for TETRA pagers,” comments Antti. He sees new solutions emerging such as Tactilon Agnet, which allows alerts over commercial networks. Access to broadband data will allow the transfer of more information to better prepare staff for their mission. 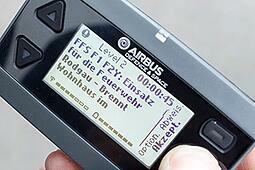 AlaMo, a system which enables fire brigades to monitor the response of their forces, is already available from Airbus. 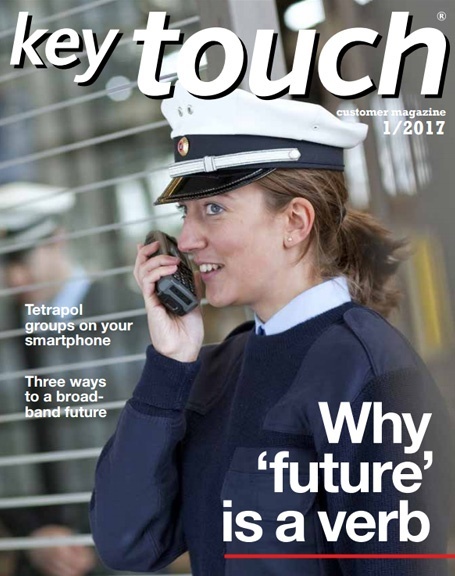 I believe that experiences in Hesse will encourage other organisations and operators to consider pager devices or alternatively deploy call-out to handportables. As well as public safety, there is huge potential in the healthcare, industrial and transportation sectors. Clearly, P8GR is not just a device, it is the center of a system which should allow dedicated public servants to be even more efficient on duty. See P8GR on video here, and for more about P8GR and the story of active TETRA paging, visit the P8GR product page. 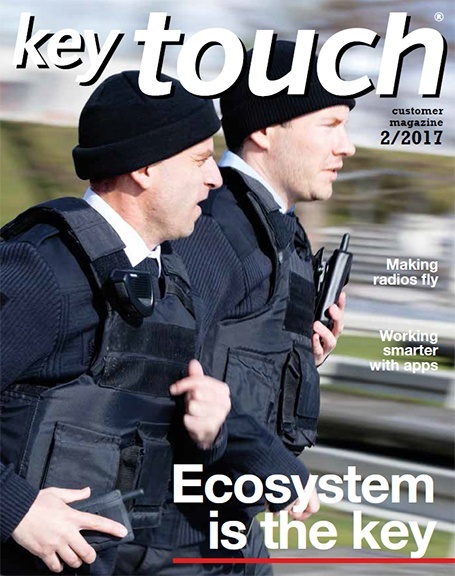 This article first appeared in Key Touch magazine, issue 1/2017.